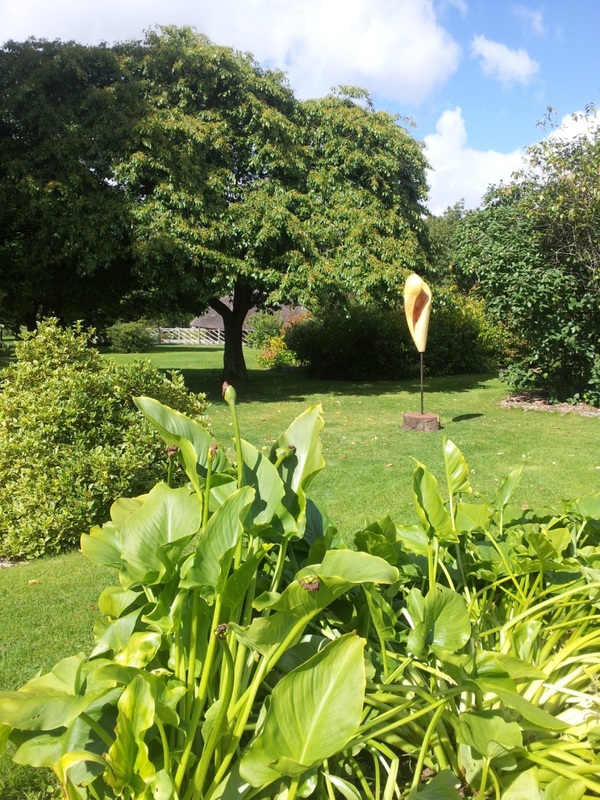 Inspired by the calla lily and by the work of sculptor Barbara Hepworth. (3 Sep – 16 Oct, 2015). 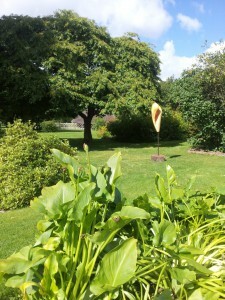 The leaves in the foreground are the leaves of the calla lilies (not in bloom now). This entry was posted in Sculpture by Lena Willryd. Bookmark the permalink.